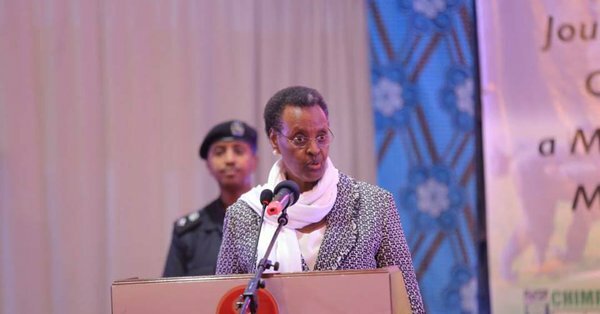 KAMPALA – The Minister of Education and Sports, Mrs Janet Museveni, on Monday flagged off a team of 311 researchers that will conduct a census of all educational institutions in the country. Speaking at the flagging off ceremony at the Uganda Bureau of Statistics (UBOS) offices in Kampala, Ms Museveni said the census will help the government properly plan for the education sector. “The education master list will help us to review legal and policy framework as well as the development of education management information systems which are all aimed at realization of reliable and timely data for education and sports sector,” she said. The First Lady added that despite having data about the institutions, it is not satisfactory, hence need for more. She noted that it is critical that the education sector adopts high-quality data collection approaches in the attainment of its goals and objectives. The minister said the master list commences 11th March 2019 and ends on 30th April 2019 and targets all schools at the level of education pre-primary, primary, secondary, technical, Universities both private and public. The acting executive director of UBOS, Vitus Kato Mulindwa, said statistics acts a mirror of what is happening in a society which makes different actors undertake inventions in alleviating plight of people. “I am delighted that several programmes and interventions have been executed as a result of our previous surveys and censuses among them construction of more schools to reduce on distant learning,” he said.